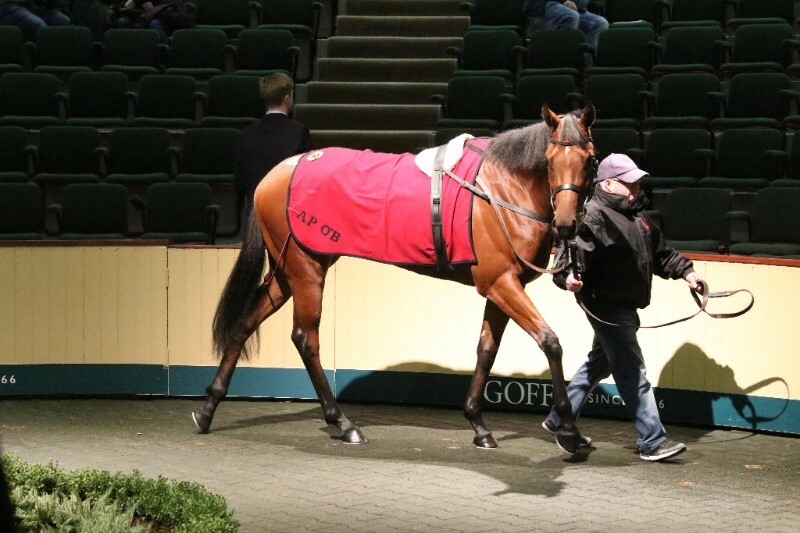 A filly by Galileo consigned by Ballydoyle Racing was the star attraction at today’s Goffs Horses In Training Sale. The two year old, named Sarrocchi (Lot 20), was bought by Fozzy Stack for €215,000. American-based owner Robert Moran secured the next highest priced lot of the day, purchasing a two year old daughter of Sea The Stars (Lot 150B) from Highford Stud for €140,000. A strong draft from Ger Lyons’ Glenburnie Stables was headed by Erratic Path (Lot 109), a winning three year gelding by Elusive Pimpernel, who made €85,000 when selling to Kevin Ross Bloodstock on behalf of Chris Jones. Thunder Crash (Lot 150K), a winner and second at Dundalk this month, was another highlight from the Glenburnie draft and was knocked down to Richard Venn for €66,000. The two day Open Yearling Sale commences at 10am tomorrow, Wednesday 25 October.